Not much time to work on my LBJ this week, Sunday is usually the day I do the most sewing, but I had to work at National Portfolio Day. Nice to see creativity carries on, 35 colleges were represented with close to 800 high school students coming through to have their portfolios reviewed. Hopefully I can get back to it this coming week. I have my stitching lines thread traced and need to get on with the quilting. 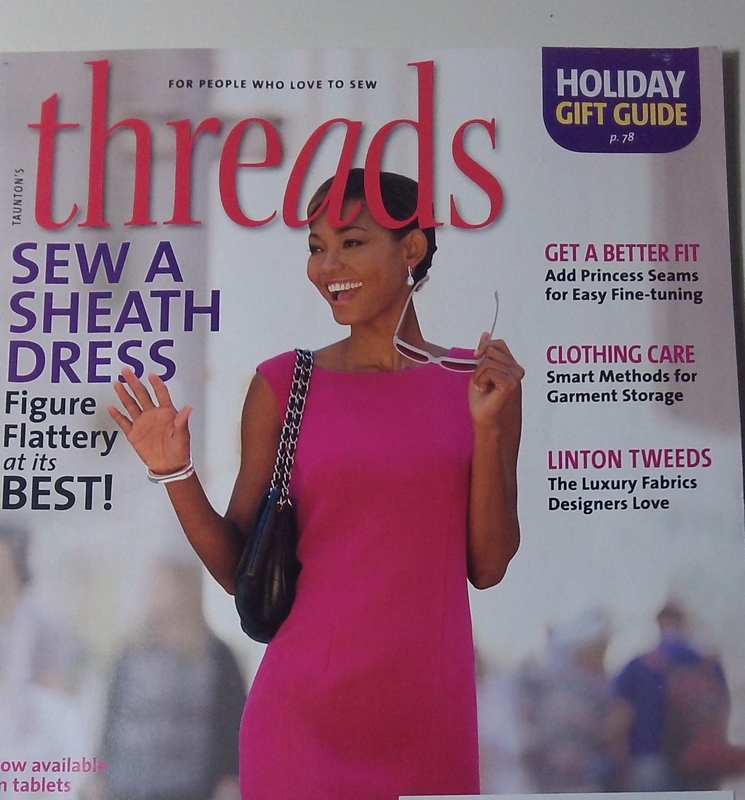 The January issue of Threads arrived this week. Seriously? January? It’s still October! Anyway, there’s a nice article on Linton Tweeds by Claire Shaeffer, with lots of wish-I-could-touch-it pictures. 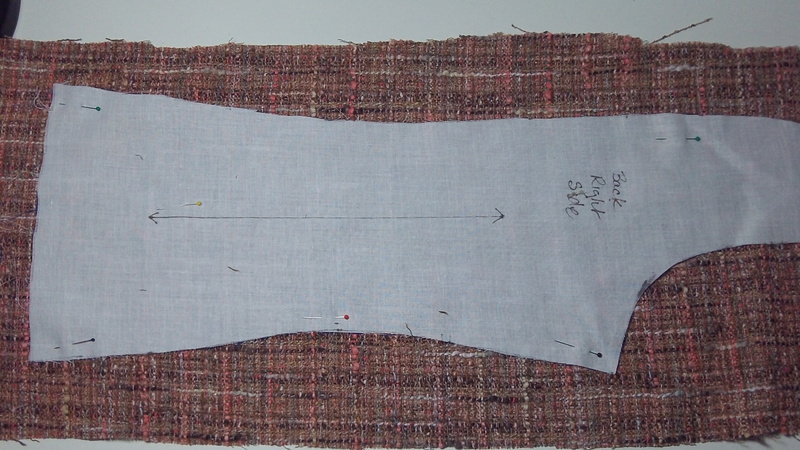 The Sew a Sheath Dress article is a good one too. I love the look of a sheath and had a sewing expo class with the author, Helen Haughey. I wish I had time to make a dozen. Check out her gallery for some inspiration.